Summertime is the best — spending long days at the beach, enjoying free concerts in the park, sipping on rosé at outdoor happy hours... you catch our drift. But there are a few downsides to this lovely time of year. One of them, hands down, is humidity. It's not only uncomfortable, but it can cause some major hair issues. In fact, it can turn our carefully coiffed tresses into a frizz-for-all. Thankfully, a few choice products on the market can help you protect your hair from moist air, no matter what your texture is. A little heat will never cramp our style. Check out some of our favorites in the following slides. This shea butter- and marula oil-infused hairspray keeps our strands smooth throughout the day, no matter how many times it gets assaulted by gusts of hot wind on the subway. Plus, the light and flexible hold tames frizz without feeling crunchy or heavy. Work a quarter-sized amount of this lightweight cream through your mid-lengths and ends to control frizz and smooth flyaways post-shower. Virtue Labs Polish Unfrizz Cream,$40.00, available at Virtue Labs. This luxurious cream is your leave-in conditioner, frizz-tamer, and hair zhuzher all rolled up into one beautiful package. Just squeeze a dollop onto your fingers and distribute it on your wayward strands. You can apply it all over wet hair, or use it in specific areas to smooth and tame flyaways on already dried locks. A finishing spray coupled with an anti-frizz product will really let summer know who's boss. This one in particular is packed with weightless frizz-fighting molecules, so you can seal in your look without feeling like you've shellacked your hair into a helmet. 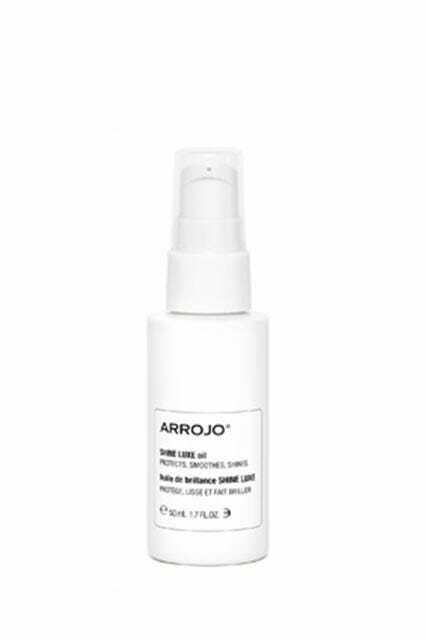 This spray's job is to control static and frizz — and it's not messing around. Spritz it on damp hair to help control erratic strands all day, or gently mist it in dry hair for instant touch-ups. It’s safe to say that gels have redeemed themselves after years of being shunned for their role in crispy ‘80s hairstyles. This unique product takes the hold of a gel and adds a dose of hydrating oils, for glossy curls that are practically immune to humidity. Plus, the formula also contains UV inhibitors, so your hair won’t take a hit from the sun’s moisture-zapping rays. Bumble and bumble Bb. Curl (Style) Anti-Humidity Gel-Oil, $34, available at Sephora. This oil uses rich emollients to combat frizz and amp up shine. Vitamin B5, jojoba-seed oil, sodium hyaluronate, and sweet-almond oil work together to ward off the effects of humidity, and can also serve as heat-protectants. Hairstylist Vernon François, who works with Lupita Nyong'o and Solange, swears by this pomade. "It's quite good if you want the light hold for maintaining your curl without going frizzy," he says. "It's really great in dry and humid climates and it smells amazing!" Aveda Brilliant Humectant Pomade, $25, available at Aveda. This hairspray won't freeze your 'do, making your hair look crunchy or helmut head-y. 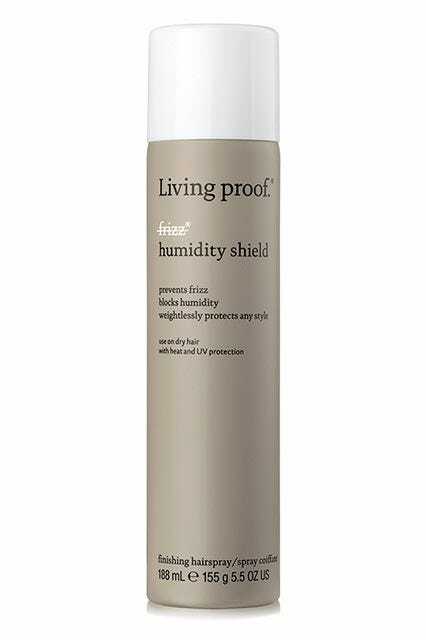 Instead, it acts as a barrier against the humidity that makes your hair expand and fluff in the heat. So no more nightmares about becoming Monica in the Barbados episode of Friends. Alterna Bamboo Smooth Anti-Humidity Hairspray, $18, available at Ulta Beauty. There's a reason this product was mentioned twice in our roundup of R29 curly girl essentials. Its protein-packed formula manages to seals cuticles and define curls at the same time. Ouidad Advanced Climate Control Heat and Humidity Gel, $26, available at Ouidad. If you pull up your weather app in the morning and the humidity index freaks you out, reach for a curl gel. 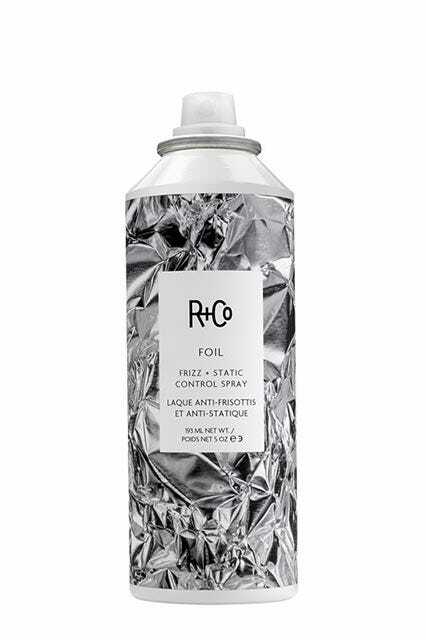 This one locks in hydration and defines texture, sealing in your style all day. Briogeo Curl Charisma Rice Amino + Quinoa Frizz Control Gel, $20, available at Sephora. 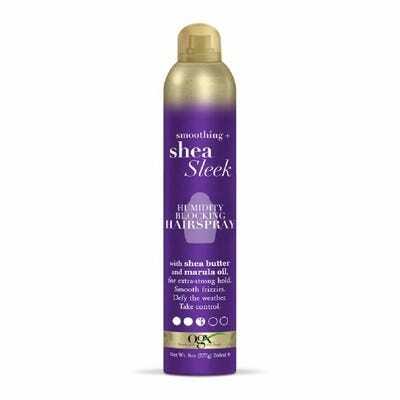 Protect your blowout with this lightweight spray that prevents humidity while imparting lots of shine. 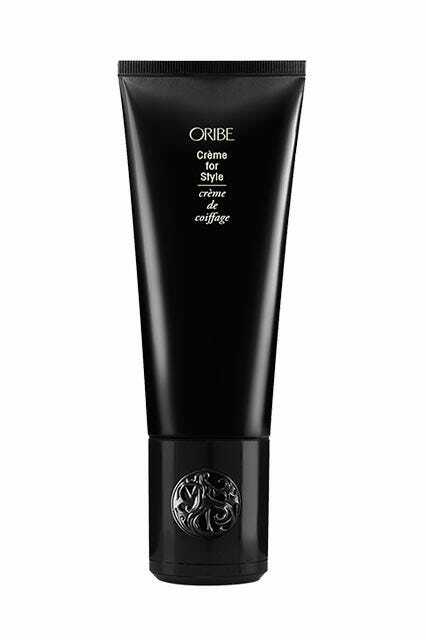 Oribe Impermeable Anti-Humidity Spray, $42, available at Oribe. If a product's got coconut oil, then you already know it'll mend your curls better than a magician. Madam C.J. Walker Beauty Culture Coconut & Moringa Oils Humidity Block Curl Gel, $26, available at Sephora. Blowouts are only as good as the styling products you use before — and this multi-tasker has quickly become our favorite. Not only does it leave your hair shiny and frizz-free, it also adds texture to your second-day style. Living Proof T.B.D. Multi-Tasking Styler, $26, available at Sephora.